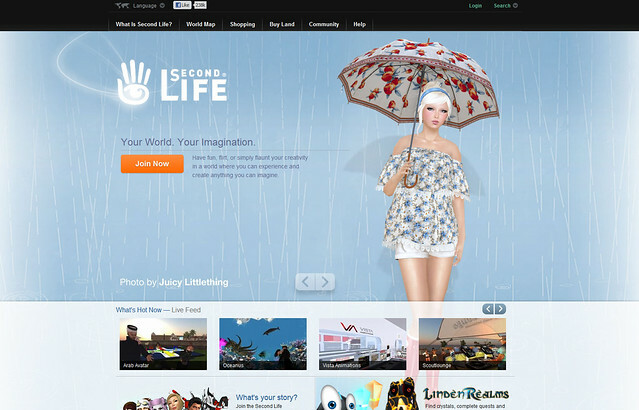 Guess who is on the Second Life website!! ME! I love it! LOVE LOVE LOVE LOVE LOVE LOVE LOVE. Thank you Linden Lab, this made my day month. Can’t think of a better cover girl, woot! Congratulations! I saw that on the SL page when I logged in today and I *knew* it was you. So happy to see I was right! Congrats I’m so happy for you. You looked great. WOW congratulationss!!!!! I am sooooo happy for you and a little bit jealous ahha! you look amazing! Congratulations! It’s nice to see Linden Labs updating their start page, I hope they continue the trend and use other residents photos as well. 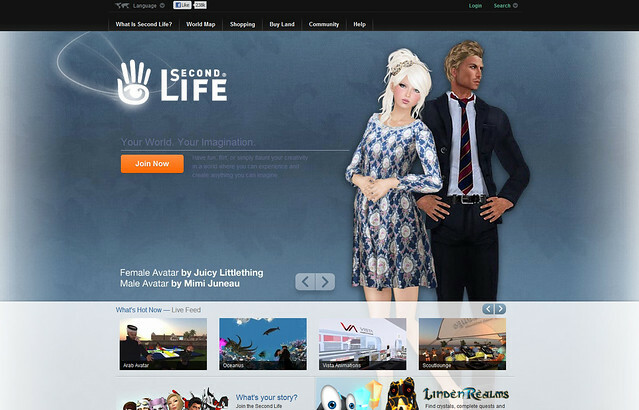 This would be a nice way to showcase all sorts of styles and tastes that make up SecondLife. Congrats….you look amazing, as always! SO glad they got a “real” avie on there…someone who is “one of us”! Who would NOT want to come somewhere where they could look like that?! Thanks for representing us! Congratulations! LL definitely picked the right person to be featured on the homepage. I believe your website is a fashionable gateway into Second Life. I actually show it to a lot of people wondering about Second Life when I use the avatar customization / fashion hook-in to explain one of the more attractive aspects of SL. So haha good to see you on there! gogo!!! how awesome is that?! congraaaaatss!! And that idiot said your look was outdated! Wow! You GO girl! Congratulations!! mmmm so you think you are a fashion blogger??? Well, answer them “YES I AM”! This is incredible! Congrats! This is exactly the sort of things LL needs to be advertising on the SL website! Congratulations, very good to see an opening page that doesn’t make me wince – and congrats on the “Royal Living” blog award too! Like Sunrae, i saw that on the SL website and I knew that it was you because I’m a stalker from ur blog 🙂 I’m happy for you.. Congrats! I was going to ping you in world when I saw you a few minutes ago on the website. WOOT WOOT! CONGRATS! Congrats!! You certainly deserve it – SL fashion would never be complete without you!! There are not that many opportunities for us to say to one another thanks for all you do but this seems like a good time. The amount of work and effort you have put into your blog, into furthering fashion, is appreciated. It doesn’t matter if people agree with you all the time, or even like you, talent is talent, hard work is hard work … and thank you!! Disagree. I think the hair color looks great on you and the dresses are adorable. I agree with Charolotte. Brown hair looks good on you but I prefer blonde.